My Queen of the Night tulips are coming out. These dark purple-red blooms have such a mysterious look to them. You could almost disappear into the deep darkness at their centre, made more enticing by the gleaming, satin-like petals which surround it. 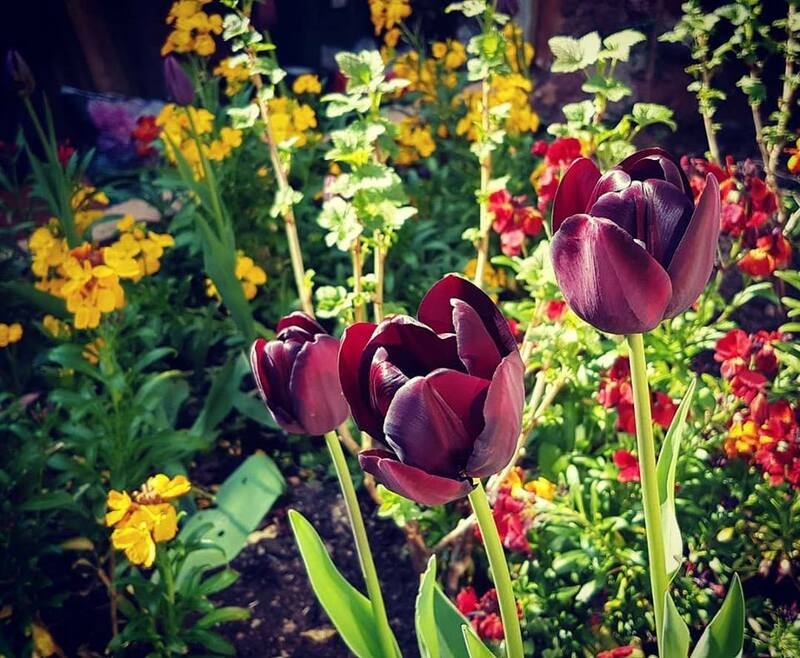 When I discovered that there was a type of tulip called Queen of the Night, I knew had to buy some for my garden! They echo that magnificent, dangerous beauty of the archetype, which beckons us in to discover a new realm in the power of the night. This is the first year I've grown them, and I am entranced. Yesterday a local artist came up to me in the supermarket, and said how much she was enjoying reading my book. She’s a fine sculptor, and is now inspired to make nine figures, representing the nine archetypes in the Circle of Nine. It’s a joyful moment when ‘the Nine’ spark off creativity like this. And it also made me want to share my three special figures with you now, which I’ve chosen to represent Queen, Mother and Lady. 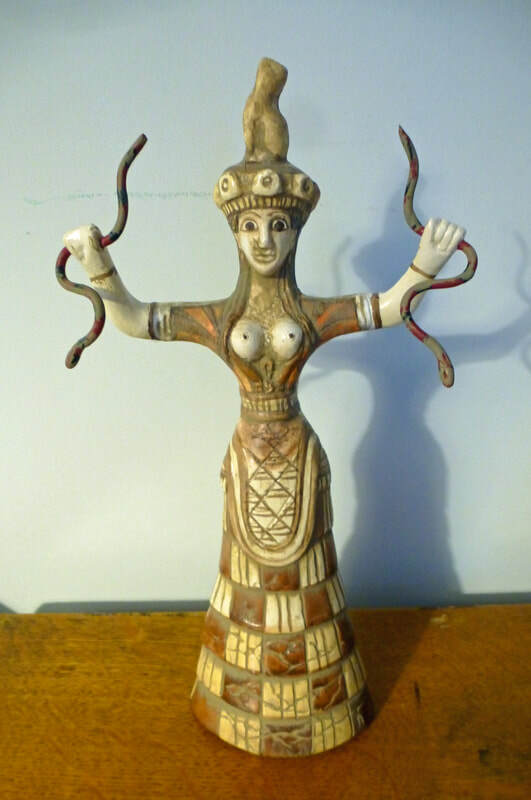 The Queen is the Snake Goddess from Crete – she’s the latest arrival, brought back for me by a close female friend who was herself a founding member of our original ‘Circle of Nine’ group. I can see in her the three Queens combined – Beauty, with a wonderful robe, Night as Mistress of the Beasts, grasping the living serpents, and Earth with her bared breasts and chequered skirt, like the patterns of the earth itself. The Lady is Kuan Yin, the goddess of compassion, who I have equated to the Lady of Light in the book. However, she is very much Lady herself, especially in this elegant blanc-de-chine form, with her unshakeable serenity and poise. The Mother is primitive and powerful. 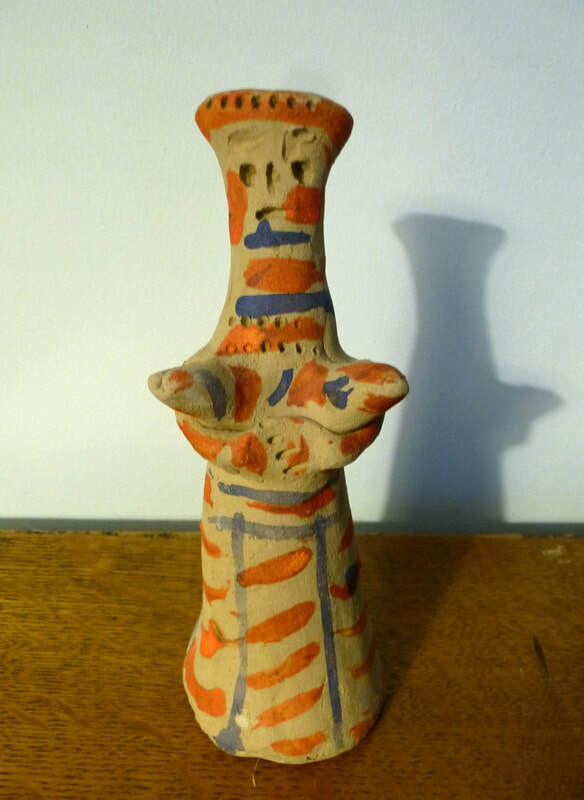 She is a small clay figurine from the wilds of Russia. She was given to me by researchers at a Russian folk museum, who used to spend their summers travelling into the far reaches of the forested north, finding examples of ancient toys, dolls and artefacts made in the almost unchanged folk culture there. They told me that this figure has probably been fashioned the same way now for thousands of years, back to pre-history. I’ve placed my three in different positions in my study, so that each has her own space, and yet they relate to each other in the eternal triad, the triplicity of the feminine spirit. Visiting the 'Votes for Women' exhibition at Killerton House this week, I was struck by how the battles fought by suffragettes a hundred years ago and more have helped to give us the freedom that many if not most of us experience today. In the late 19th and early 20th century, I could not vote for government, obtain a university degree or even, for a while, own property if I was married. That's unthinkable nowadays. So this piece, which I've included on my main website www.cherrygilchrist.co.uk, is a tribute to the movement and also to the National Trust for staging such a fine exhibition. It's on until Nov 4th 2018, so visit if you can. Imagine a garden party being held on the lawns of a stately home, on July 26th 1910. The ladies are elegantly dressed in summer gowns or long skirts, topped with a smart hat, the men in summer boaters and suits. They stroll on the lawns, admire the roses, and chat sedately while balancing cups of tea. Surely this is the stuff of gracious living? Although a clothing stall set up near the front entrance suggests that it might be a fund-raiser too. And yes, so it is – the party is being held to raise funds for the Anti-Suffrage Movement. Put another way, to stop women getting the vote. In which case, why are so many women present? The guest list shows plenty of Mrs and Misses. Well, the sad fact is that they too wanted to prevent women’s suffrage. It is the Anti-Suffrage Garden Party, attended by the upper ranks of Devon Society at Killerton House, including several Colonels, Drs, Revs, and a Sir and a Lady. The Acland family, who owned Killerton and were hosting the party, had a curious mix of opinions on in their ranks. A earlier member of the family, Thomas Dyke Acland, had already expressed his views on why he opposed admitting women to universities: ‘Girls are different from boys, their brains are too light, their foreheads too small, their reasoning powers too defective.’ And within the current family members, although the male side was against the idea of votes for women - you can see part of Sir Charles Thomas Acland's garden party speech in the photo below - the women were divided. While Aunt Gertrude was a staunch anti-suffrage supporter, her niece Eleanor was fiercely pro-suffrage. 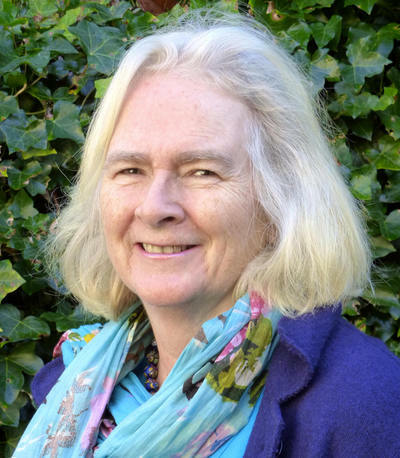 Killerton House is today owned by the National Trust, and this split in the female side of the family has given an incentive for a great exhibition about the suffragette movement, and the campaign to give women the vote. You can wander round the house and see suffragette memorabilia. 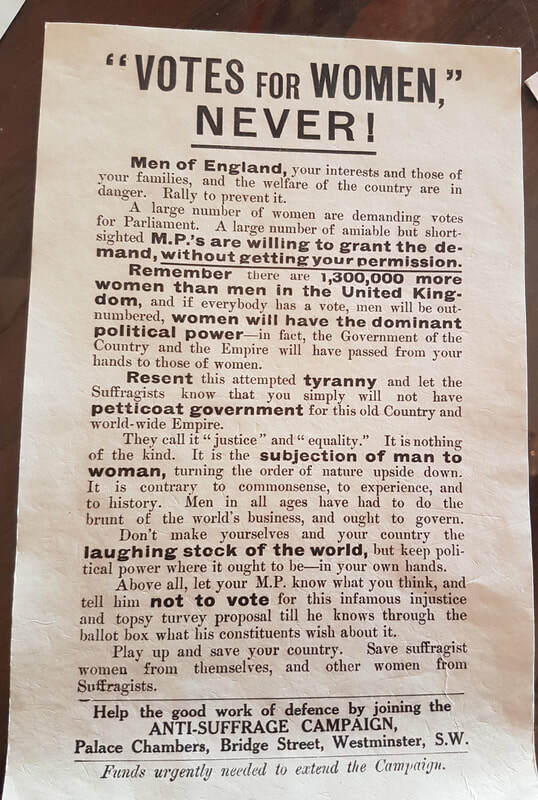 But what made more impact on me was the weight of anti-suffrage propaganda – board games mocking suffragettes, cruel jibes, denigration of women’s worth in society. Sometimes the pictures say it all: there’s a panel of pictures of suffragettes, which are in fact surveillance photos taken in 1914 by the security services of the day and included on the Criminal Register. The final shocker is a map of the world, showing where and women have been given the vote. A surprising number of countries didn’t allow women to vote until the 1940s or 1960s – or even, as in the case of Saudi Arabia, until 2015. Some countries still remain blank, but maybe in many of them there is no chance to vote at all. So, fellow women, let’s be proud to use our vote if we have it, and be thankful we no longer have to fight that particular battle to take an equal place in society. A few weeks ago, I was in East Yorkshire on a research trip with a couple of friends. It’s a long story, but in essence we were treading in the footsteps of a late friend and mentor of ours, filling in background to his life story. We’d visited the old radar station on the flatlands of Holderness, magnificently elemental and striking in their open vistas and huge, golden cornfields. We’d combed the village of Patrington, once the most important port in Yorkshire and now marooned some miles inland, but with a magnificent church to show for its former fame, steepled like a galleon. Now we were strolling through the adjoining hamlet of Winestead, where the poet Andrew Marvell was born, and old cottages dozed in the summer sunshine. It was our last call, and in the hedgerow by a dilapidated cottage that was up for sale, I noticed a strange piece of rock lying in the grass. I turned it over. It was a piece of sculpture, a beautiful lady with sleepy, mysterious eyes. I didn’t know whether to take her or leave her. The place was abandoned, but theoretically, the hedgerow was not public. I hesitated, and left her there, driving the 25 miles back to the hotel. The next morning I was due to drive west, to meet my husband near Ilkley. But I woke up seized with the urge to travel back east and rescue the Lady of the Hedgerow. I felt that it was no accident I had found her there and that she should come home with me. I found her as I’d left her, wrapped her gently in a cloth, and took her, a couple of days later, back to Devon. As we arrived at our house I spied a parcel on the doorstep. It was the advance copies of The Circle of Nine, my new book about feminine archetypes. I was astonished, as I hadn’t expected these for a few weeks yet. The Lady had timed her appearance with miraculous precision. She now has a place of honour in our garden – or at least, she seems a little picky, and I move her from place to place, looking to see what suits her best. And another surprising feature emerged. With the help of knowledgeable friends and the internet, I established that she was most probably once a mermaid. It’s typical for a mermaid figure to have her hands folded on her head. She had apparently lost her tail, and surfaced in a hedgerow. Now, make of that what you will, but I doubt we will ever know her full story. In writing The Circle of Nine, I’ve been looking out for figures from myth and legend which align with the nine feminine archetypes that I describe in the book. One of the nine – and one of my favourites, I confess - is the Queen of the Night. She is wild, instinctive, a force of nature – she understands beasts and birds, and has a dark, powerful sexuality. A figure from Russian mythology that really does have an alliance with her, in a crone form, is Baba Yaga, the witch. The way Baba Yaga is usually represented, and what she really is deep down, are two different things, however. She often appears in fairy tales as a cantankerous, ugly old witch who makes trouble and eats her enemies. In popular culture, she becomes a terrifying bogey-woman who threatens badly-behaved children, and you can also find her as long-nosed, evil-eyed puppet or a gruesome cartoon character. But the really intriguing role of Baba Yaga is as an initiator. She challenges intention, blocks the way to those who are not true of heart, and can take on the role of guardian of the threshold. She stands at the border between this world and the supernatural kingdom. In this respect too, she is linked especially to initiation, and some scholars believe that she has emerged from an older goddess who played a part in male initiation rituals, taking young boys into manhood. Baba Yaga often greets the seeker on the path with a question: ‘Are you here to do something, or are you running away from something?’ It’s a wonderful question - how often do we think we are doing something bold when in fact we’re running, tail between legs, to get away from a bad situation? It might pay us to ask ourselves this question if we find that we’re galloping down a path in a heedless fashion. Find the Baba Yaga in your own soul to test your resolve and inner motivation! 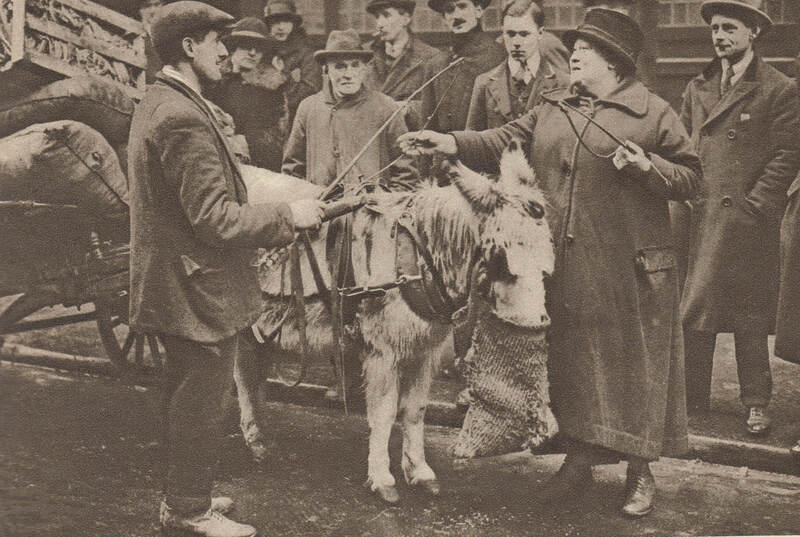 She is also, according to different tales, in command of fine horses who carry her across the face of the earth. And she can whistle up the four winds, and demand to know what they see as they blow around the world. Baba Yaga harnesses the forces of nature, and is herself elemental, unstoppable and ruthless in her actions. But she respects hard work, and a true heart. She may nail the heads of her enemies to the gatepost and boil up tender mortals for her supper, but she may also come to the aid of those who are loyal, brave and diligent. 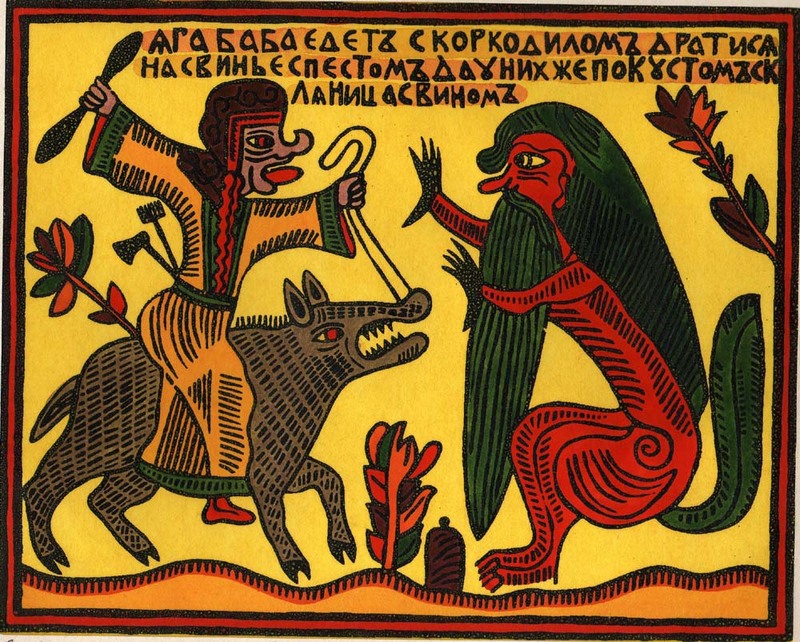 Baba Yaga does not just attack and slaughter – she stands her ground to find out if a man is made of true metal, and a woman capable of patient work. Her particular feminine strength isn’t based on beauty. It may derive from wisdom, but it’s a hard, ruthless kind of wisdom that won’t allow useless sympathy or sentiment to get in the way. A man must do or die under the eye of Baba Yaga. A woman had better find the iron in her own soul and stick by her principles. Only Baba Yaga can take him across that borderland into the unknown. The soldier knows that he cannot run away. ‘If I do not find out what I want to know here, there will be nowhere else for me to go.’ he says in realisation that the moment of truth has comes. And, being a fairy tale, he is indeed reunited with his sweetheart after he enters the supernatural world of Baba Yaga and the four winds. Baba Yaga appears in a number of fairy tales, notably Vasilisa the Fair and The Enchanted Princess. Kuan Yin’s name means ‘She who hears the cries of the world’. She is my prime figure for the Lady of Light, in terms of a deity or spirit. Her form is mutable, as she appears in various traditions, from Buddhism to Silk Road Christianity. Her name too changes, but always has this meaning of compassion – she looks out for human beings, offers them comfort and protection. Her chief symbols are the moon and the ocean, and she is often associated too with dragon and lotus. 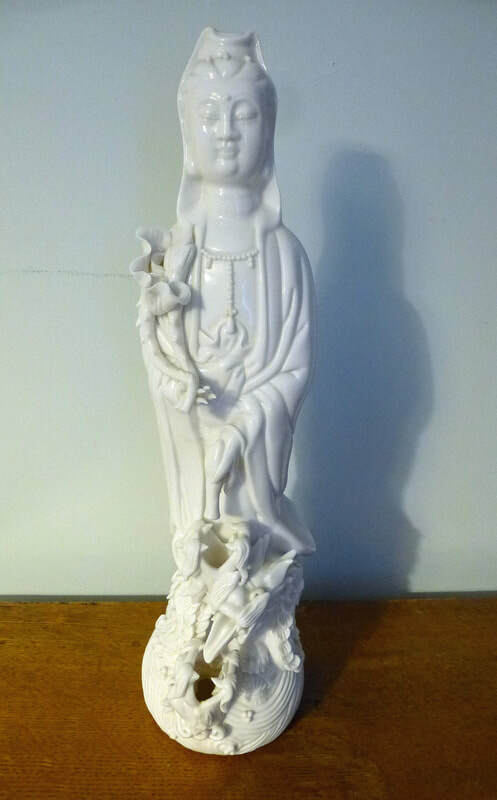 My ‘blanc-de-chine’ porcelain figure of Kuan Yin has all these symbols around her, and she can offer dewy drops of consolation too - there’s a secret reservoir to fill with water, and it drips down gently, falling first into the lotus flower and then into the mouth of the crouching dragon at her feet. She is serene, and calm. I first encountered Kuan Yin in the images I saw along the Silk Road, and then later more directly in her temples in Singapore and Penang. Here too, I discovered her divination system at work, and this is something I’ve brought into my own domain – there’s a blog about it at http://www.cherrygilchrist.co.uk/blog. One of the most moving accounts of Kuan Yin practices that I’ve seen is a description by an old Chinese nun, about how to practice Kuan Yin Moon Meditation. This I have adapted, practised from time to time, and shared with others. If you would like to try what is truly a Lady of Light type of meditation, then I recommend this. Here are the instructions. Go gently! – it’s what Kuan Yin would wish. You can practice this meditation either with eyes closed or eyes open. If closed, then you’ll visualise the sequence that follows. If open, then you should sit where your gaze can rest on a blank wall, and this acts as a background on which the images arise. (Even in this case, you may feel that you are ‘seeing’ the images internally, but with your eyes open.) Either way, do everything gently; no forcing, just allowing. You are activating this sequence, and envisaging images as needed, but do so in a spirit of gentle calmness. Sit quietly, and let your mind go still. Release thoughts, images, colours, and allow yourself to go into neutral. Let your gaze rest. Your vision is empty - everything is empty – you see nothing, an expanse of nothingness. Now something comes into view. There is the sea in front of you, and the moon rising above it in the night sky. The moon bathes the sea with a soft brightness, and you may observe little silver-topped waves rippling there. You can gaze now at the moon, and allow yourself to feel calm and happy. Give this at least a few minutes to develop. Then observe how the moon is getting smaller, but brighter. It becomes so bright and so small that it reduces to a dazzling pinprick of light, a radiant tiny pearl in the night sky. This seed of light now begins to grow, and as it does so, it becomes the figure of Kuan Yin herself. She stands tall against the sky, robed in gleaming white. Around her head is a halo of light. Her feet float on the crest of the waves. Kuan Yin smiles at you, and you feel her affection, love and compassion. Allow yourself to rest in her presence. You can allow emotions to arise and fade away again, like the lapping of the water. If you wish, you can repeat her name silently like a mantra. Let it help you to stay calm in her presence. She may stay with you for a long time, or just for a brief spell. But when you sense that she is leaving, or when your attention starts to flag, let your image of her get smaller and smaller until at last she vanishes, and the sea and the sky go with her. Then, all that is left is space. Relish this space; become a part of it, and know that you are not separate from it. Now let yourself return gently to your body; sense your posture and bring sensation back into your limbs. Give thanks in your heart before standing. This week, I’m going to write about three archetypal feminine figures – a witch, a goddess, and a lady of mystery. These are Baba Yaga, the fearsome, wise and enigmatic Russian witch, the Goddess Kuan Yin, spirit of healing and compassion, and a figure of stone who I recently found in a hedge and who may be part White Lady, part mermaid. At present I’m on a personal trek to explore the significance of these. I have a story to tell about each one of them, and then I’m also going to let them interact as they will, and see what dances, what images or dreams emerge. I’ll be posting on my two blogs www.cherrygilchrist.co.uk and www.circleofnine.org, and probably other sites too. 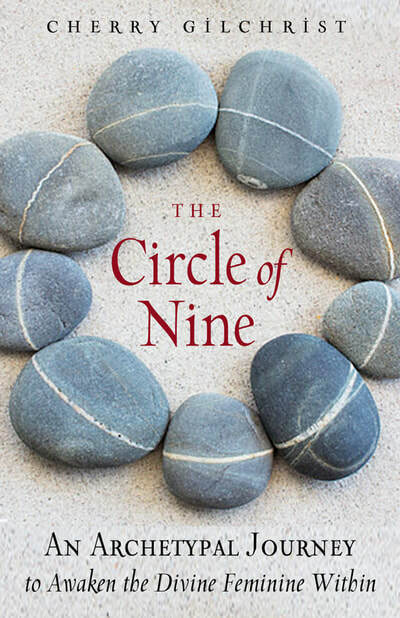 As publication of The Circle of Nine approaches, I find that the work isn’t over yet – the cauldron of myth and legend, and the ever fascinating questions that they raise in our lives, is still drawing me in. Wish me luck on my journey! And I'll plan to post soon. Once I've put this up, I can't really back out, can I? And in the meantime, here are some images to whet the appetite. 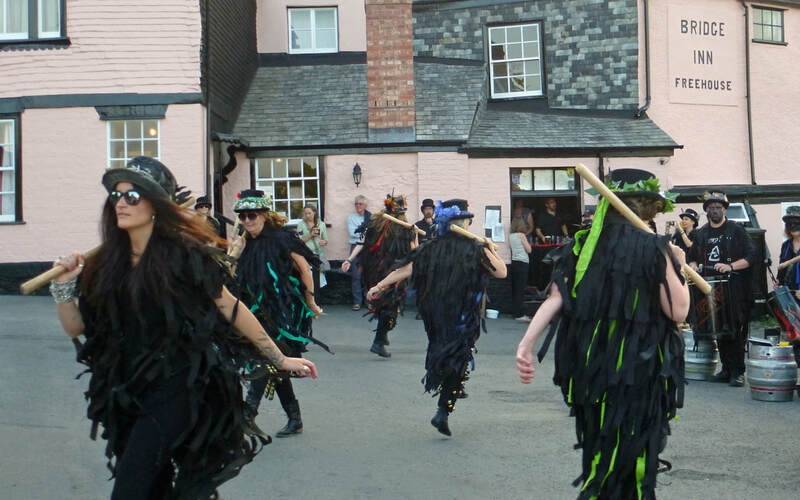 'The Company of Nine - An Ancient Template for Women's Magic' is a new blog post I've written, now up at https://singinghead.wordpress.com/. It looks at the ancient radition of nine women forming circles for divination, healing and magical practices. The evidence is often right there in the landscape. Rod Thorn, who runs the site, has included many other fascinating articles there on old magical traditions. 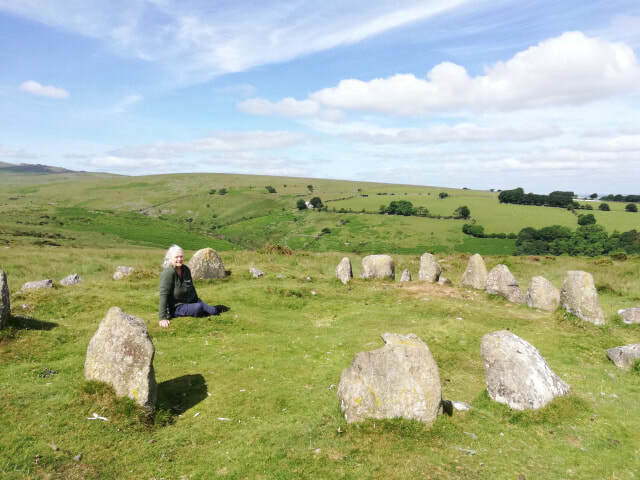 He and I have also explored a few ancient sites together - here's a picture from a recent trip to the Nine Maidens stone circle at Belstone, on Dartmoor. I’m currently hard at work, writing blogs to go out in webzines world-wide to support publication of The Circle of Nine, which is coming up fast now. Thanks to my terrific editor and publicist, I’ve got a raft of stimulating mind-body-spirit type websites to explore, and I’m having a creative time thinking up ideas to weave articles around. The first one to go live is ‘Renewing the Spirit of the Home’, about how a group of female friends helped me to restore the vitality of my house back in 2000, and have a good time into the bargain! It’s on Elephant Journal at https://www.elephantjournal.com/now/renewing-the-spirit-of-the-home/. There’s another in the pipeline, called ‘Surviving the Reunion – Where Past and Present Collide’. I love reunions (mostly) and have become fascinated by how we share memories on these occasions. That will be on World of Psychology blog at PsychCentral.com. I’ll flag it up when it appears. I’m also writing one about ‘Following the Female Line’, inspired by my interest in family history and the discovery that my 3 x Great Grandmother was a camp follower in Wellington’s army. And there will be an article too celebrating Women’s Circles – and explaining why nine is such a very good number to work with for women!